“Passionate” is how many students describe Ben. With the energy he brings to the classroom, students are engaged from the moment class begins to the last minute of the session (that always seems to come too soon). Students who attempt to zone out or fall asleep are rarely successful. 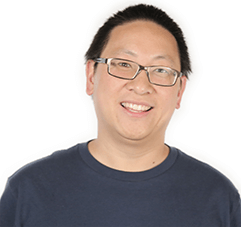 At UCLA, Ben studied biochemistry, not because he had future ambitions in the medical field or wanted to pursue scientific research, but simply because it was fun. After UCLA, he became the director of student ministries at his church, where he led teams of rambunctious teenagers to exotic destinations such as Panama, Mexico, China, and the Navajo Indian Reservation. These experiences cultivated in him a desire to help young people discover and reach their potential and to assist the needy around the world. As a teacher and manager of a tutoring center, Ben has been involved in test preparation for nearly a decade. He has prepared students for SAT and AP tests and has seen most of them increase to and achieve the top scores. It is in this context that he developed his love for teaching. After preparing for the GMAT with Manhattan Prep and scoring a 770 on his first attempt, Ben decided to teach the class that helped him to reach his goal. Ben believes that success in test-taking comes from being confident in the material, and he is committed to help students master the content inside out. Outside the classroom, Ben enjoys tennis, hiking, and white-water rafting.